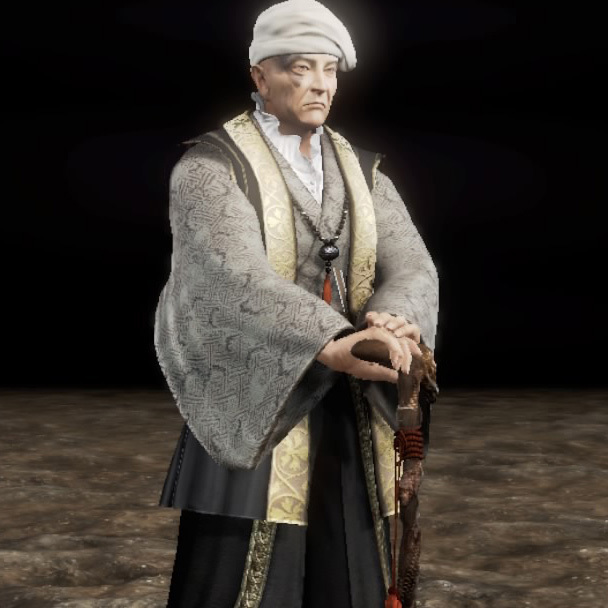 Kanbei Kuroda is an NPC in Nioh. 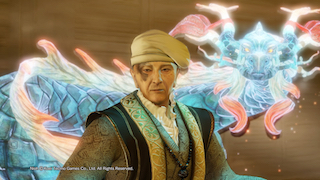 Kanbei Kuroda is an NPC in Nioh. Kanbei Kuroda, father of Nagamasa. Despite his age, he has a sharp mind and piercing gaze. His Guardian Spirit is Mizuchi. 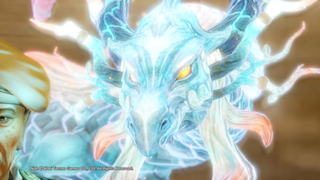 Kanbei is seen during the "Okatsu the Kunoichi" cutscene during the Kyushu Region. "Kuroda Kanbei is a general under the Toyotomi clan. His real name is Kiyoaki, and towards the end of his life he adopted the name "Yoshitaka." 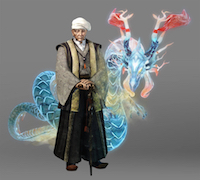 He is the father of Kuroda Nagamasa and served Hideyoshi as staff officer providing battlefield assistance. After the Honnoji Incident, when Hideyoshi found himself in a tight spot, Kanebi successfully led a massive retreat known as the "Chugoku Rollback." This and other accomplishments earned him a reputation as an unparalleled military strategist. Hideyoshi, however was wary of Kanbei's brilliance, and gradually forced him away from the centre of power and all the way to Kyshu. Kanbei was captured and imprisoned by enemy forces in his youth, and the damage done to his body has never fully healed. He walks with a stick and is physically in decline, but his ambition to be ruler of the whole nation remains as unclouded as ever, and he is watching current events with keen interest. Kanbei is sensitive to social and political change and knowledgeable about other countries. He showed no timidity in dealing with William in an age where foreigners were a rare sight in Japan; he even recommended that William adopt the name "Anjin" (pilot), since his real name would be so difficult for Japanese to pronounce. Kanbei continues to watch William closely, sensing in him the possibility of changing the course of Japanese history. Kanbei thrived under the Oda and Toyotomi clans in an age of violent upheaval. Seeing that the flames of war were set to rage again, he kept a close eye on Ishida and Tokugawa. He remains hopeful of conquering Japan himself and is prepared to spring into action if the right opportunity appears. However, he cannot hide his deteriorating health, and much of his hopes now rest with his son Nagamasa. Kanbei never speaks of his love for his son, but he is proud of how Nagamasa is turning out and has come to feel that his own true role is to watch over him."